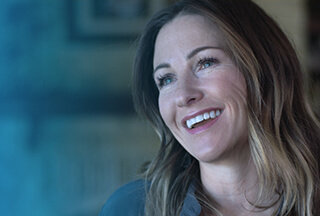 Advisor, Product Marketing at Dell Inc.
Dell provides the technology that transforms the way we all work and live. But we are more than a technology company — we are a people company. We inspire, challenge and respect every one of our over 100,000 employees. We also provide them with unparalleled growth and development opportunities. We can’t wait for you to discover this for yourself as a Advisor, Product Marketing on our Product Marketing team in Seattle, WA or Hopkinton, MA. Digital Transformation starts with the data. Many organizations are prioritizing initiatives around Artificial Intelligence, Cloud, IoT, and Analytics but will struggle to realize the benefits of these technologies until they can unlock the value of their data. These trends create new business requirements and a massive amount of Unstructured Data which comprises 80% of an entire company’s data footprint. Creating new challenges for organizations as they attempt to store, manage, and extract value from this sea of data. Data is now the most valuable asset companies can have, and thousands of organizations trust Dell EMC with their most essential data. This is your opportunity to join Dell EMC and help organizations in their Digital Transformation journey. As an Advisor, Product Marketing, you will take the Dell EMC Unstructured Data Storage technologies (focused on Isilon and ECS) to market. You will craft impactful messaging and positioning for the core product, applicable vertical solutions and use-cases. As well as conceiving and develop marketing programs that drive awareness, relevance and demand using traditional and new age media. We are looking for a self -starter with obsessive attention to detail and an eye for quality, along with the ability to grasp and translate technical capabilities into business value. You will be telling our story to many audiences including: our sellers, IT Buyers, Lines of Business, as well as social and community influencers. You will ultimately be accountable for sales team enablement and execution of go-to-market tools, content, campaigns, training and competitive positioning while providing guidance and mentorship across the organization. Develop compelling messaging and positioning for the product portfolio as well as targeted vertical solutions that move worldwide sales teams, channel partners, OEM partners, enterprise customers and service providers to act. Work closely with key marketing stakeholders (product management, field marketing, marketing communications, business development, etc) to package and promote the collateral to ensure it is effectively delivered to key stakeholders and the global sales force through papers, web, blogs and social media. Create marketing content and develop go-to-market activities, sales training, nd demand generation programs for targeted verticals and broad thought leadership campaigns. Work closely with product management, technical marketing engineers, and business development managers to understand product strengths, market conditions, the roadmap, and competitor weaknesses. Use this information to position and market key technical and business advantages and resulting customer benefits of the EMC solutions. Develop and maintain deep industry and market expertise through consistent and on-going self-learning activities including competition, incumbents and disruptors. Take a global approach to product marketing to help drive awareness and market growth in all relevant geographies. We are looking for candidates that strive for marketing excellence by consistently delivering programs on time, under budget, with success tracking (metrics). Applicants must have excellent verbal presentation skills as customer & media/analyst spokesperson and field/partner trainer. As well as an ability to work cross-functionally and serve as program lead for worldwide marketing initiatives. This position requires engagement with sales leadership, corporate marketing, channel partners, direct sales force and global theaters it will take an exemplary communicator with strong business acumen to manage diverse stakeholder interests while aligning to broader corporate initiatives.